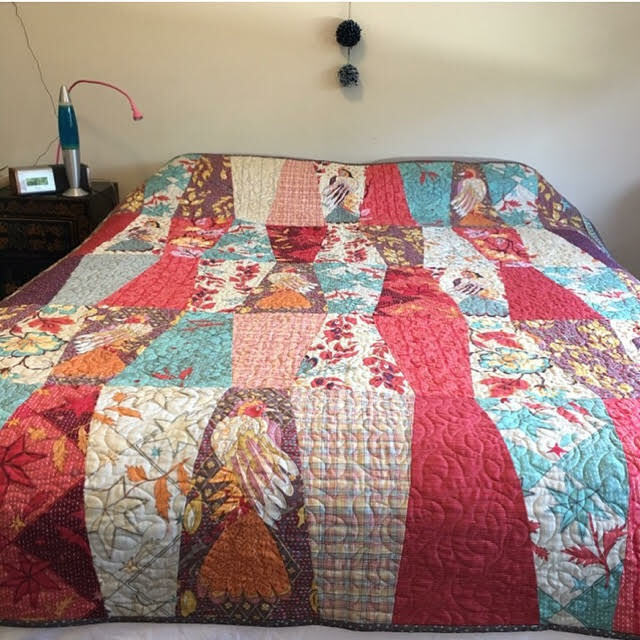 Our Guest for the June Meeting is Sharon Thomson …..
Sharon is the new owner of Berry Patchwork now re named Berry Quilt & Co. She took over in February this year, from Elizabeth Dubbelde who had the business for 16 years. Sharon has been teaching herself sewing and quilting from an early age. She was inspired by the lovely things that her very clever mother and aunt made so effortlessly from fabric. They were both sewers from necessity as they grew up, then later they were inspired by their mother, Sharon’s grandmother, to try patchwork when she began learning in the 70s with Val Moore in Pennant Hills. Sharon is a passionate yet erratic quilter who loves most forms of patchwork. She is distracted by and has a go at pretty much every textile technique that crosses her path. Her particular love is for antique hand pieced scrap quilts in traditional geometric designs although her art background currently sees her experimenting with surface design and art quilt techniques. Sharon has had work selected twice for the Meroogal women’s art prize, has had several of her One Red Thread entries tour Australia and feature in Down Under Threads magazine. 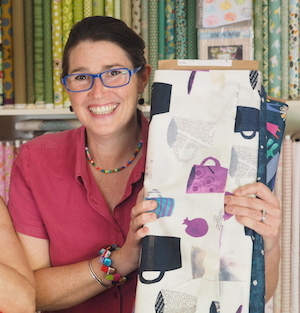 Sharon was thrilled to receive third prize in the Quilt NSW Annual Suitcase Challenge in 2015. This mini quilt will be on show at the Sydney Quilt Show next week. In recent years while working and teaching at Berry Patchwork Sharon has developed a number of quilts that are made with the entry level quilter in mind and feature minimal cutting because they feature either precuts or large blocks. Parallel to this quite traditional quilt making is an art quilt practice that is much more experimental and at the moment features seams that face the front of the quilt. Sharon will show a wide range of projects that she has worked on over the last few years both big and small, traditional and experimental and will discuss how all this playing with fabric led to her feeling like she needed to buy a patchwork shop.